Jayne Sinacore and I attended the bi-annual Beta Alpha Psi Induction Dinner at the Swan Club in Roslyn on Thursday, December 8th, 2011. As an honorary member of Beta, it is great to witness all the new inductees. Catching up with recent Hofstra graduates who now work for the accounting firms is definitely another highlight of the evening. 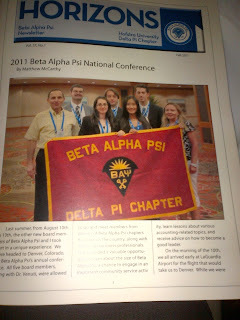 Beta Alpha Psi's website describes the association: "Beta Alpha Psi is an honorary organization for Financial Information students and professional. 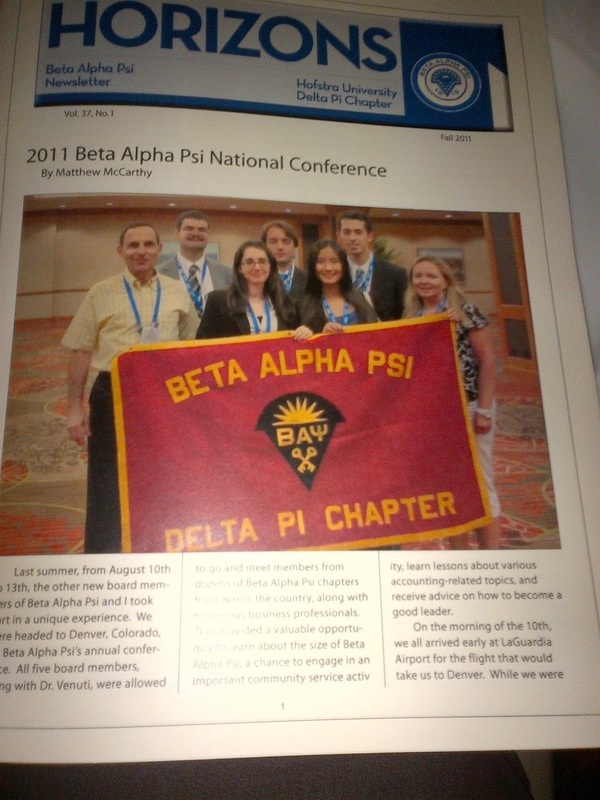 The primary objective of Beta Alpha Psi is to encourage and give recognition to scholastic and professional excellence in the business information field. This includes promoting the study and practice of accounting, finance and information systems; providing opportunities for self-development, service and association among members and practicing professional, and encouragins a sense of ethical, social, and public responsibility. Beta Alpha Psi was founded in 1919. By 2012, there will be 296 chapters on college and university campuses with over 300,000 members initiated since Beta Alpha Psi's formation." Beta Alpha Psi works closely with The Career Center for the annual Accounting and Finance Career Fair. This is why Jayne and I attend these dinners. Thank you Beta Alpha Psi for all your hard work and dedication to The Career Center!